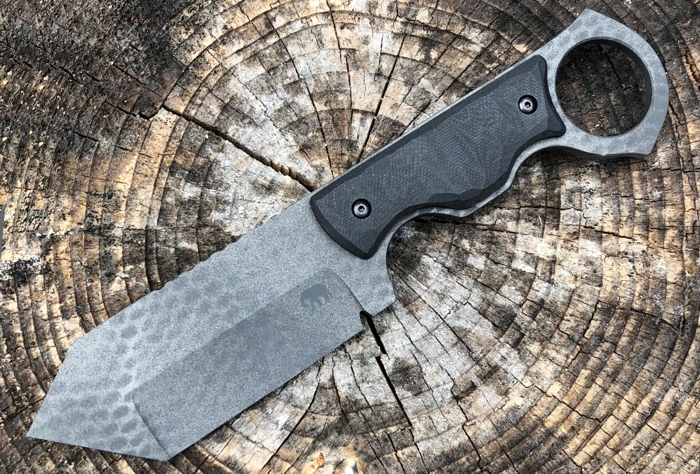 The Motus is Greg Moffatt's second collaborative knives with Dean Sherman of Direction.of.Force. The 3.375-inch 1095 high carbon steel blade has a custom patterned Cerakote finish. It has a G10 handle and Kydex sheath with a cord loop for static line carry.